Our media provide multiple ways for your product messages to be delivered year round to Canada's heavy lifting sector. 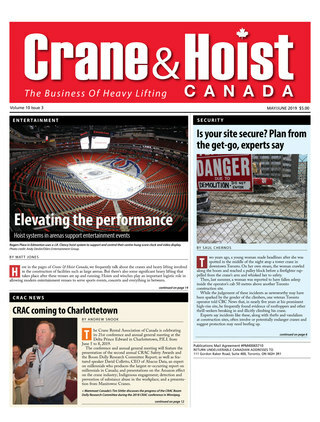 We publish 6 printed issues of Crane & Hoist Canada every year. 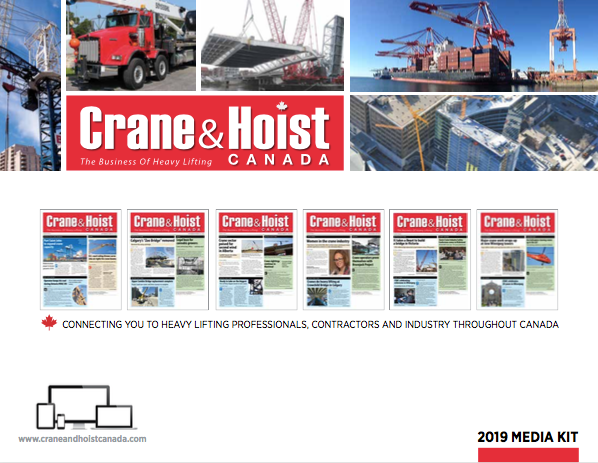 Each issue is distributed to a loyal readership of 12,000 industry professionals who use, buy or rent crane and hoist equipment as part of their business throughout Canada. Our new website gives industry suppliers the opportunity to make lasting impressions on our online audience every month using web banner advertising, videos and more. Our new e-newsletter also provides an easy way for advertisers to keep their product messages regularly delivered to our online readers too.